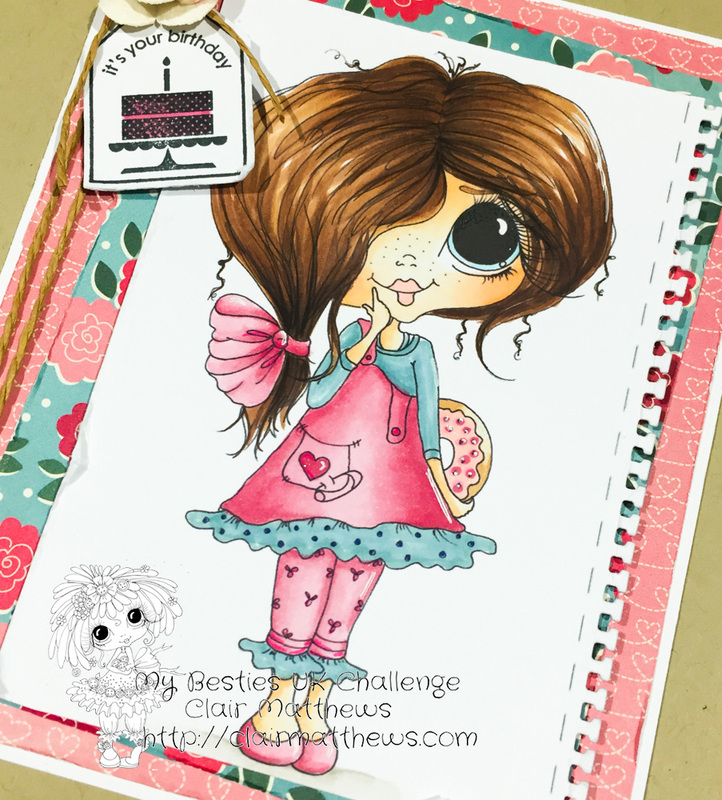 ...It's time for the Same But Different challenge over at the My Besties blog.. ..I totally enjoyed colouring her..she was fun & girly!!! I paired her with some papers from a 6x6 paper pad I picked up in the USA years ago. I used my MFT die to make the 'note book' edge & the tag was made using a very old Stampin up stamp & matching punch. 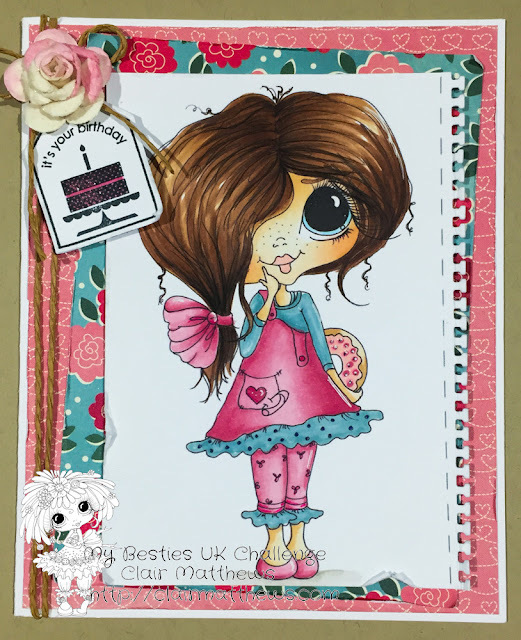 I hope you like my card & that it inspires you to head over to the blog & play along! !